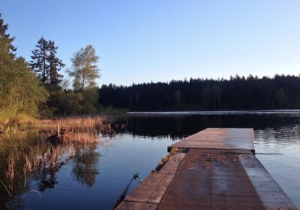 Saltspring Rowing Club will be hosting the last event in the summer’s Friday Night Challenge with a skills-based event featuring an obstacle course, fun skills drills and a row around the St. Mary Lake. Participants will have the opportunity to try out a variety of formats and check out the beautiful venue that Saltspring has to offer! Participants should arrive at 4:00pm and be ready to launch by 4:30pm. Racing will take place between 4:30pm and 5:30pm with a BBQ to follow. The cost of the BBQ is included in the registration fee. Click here to register. All participants must be members of Rowing BC and Rowing Canada Aviron. Participants should pay the $15 registration fee by cash or cheque day-of. Any questions can be directed to Stacy Mitchell at ssirowing@gmail.com. Even if you don’t live on Saltspring, we encourage you to attend! From the Lower Mainland, take the 8:50am ferry from Tsawwassen to Long Harbour. The drive from Long Harbour to St.Mary Lake is approximately 15-minutes. Alternatively you can take the 11:00am ferry from Tsawwassen to Swartz Bay and then take the 1:00pm ferry from Swartz Bay to Saltspring. From Victoria, take the 1:00pm ferry from Swartz Bay to Fulford Harbour. The drive from Fulford Harbour to St.Mary Lake is approximately 25-minutes. From Duncan and Mid-Island, take the 12:15ferry from Crofton to Vesuvius. The drive from Vesuvius to St.Mary Lake is approximately 10-minutes. The Saltspring Island Rowing Club address is 700 Tripp Road, Saltspring Island. Why not turn your Friday night trip to Saltspring into a full exploration of all the island has to offer? Check out the local Saturday farmers market or one of the island’s wineries or breweries. Ride your bike around the island to one of Saltspring’s many studios and art galleries or check out Ruckle Provincial Park.